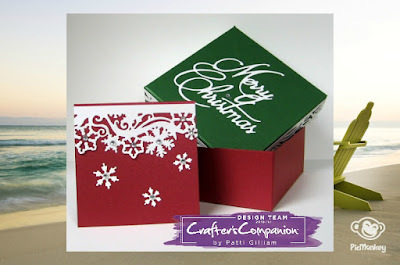 Oh how pretty and love love the die as well - the cardstock is beautiful. 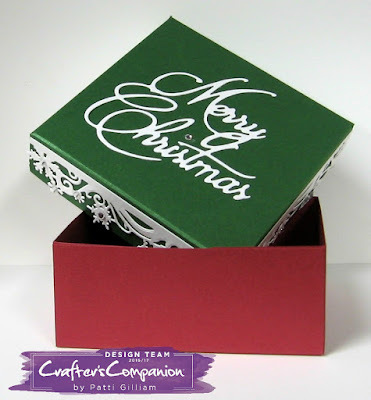 Your box and card are super gorgeous. What wonderful dies you used on them. And, I love the colors as well. Beautiful gift set, Patti! I think you could give that box as a gift all by itself! Woweee Patti - whoever gets this is DEFINITELY going to love it! What a pretty set Patti. Love the snowflake border both on the box and the card.